Home/Sikh News/Sikh Relief Helps Rupinder Singh, One Of Many Victims, Assaulted, And Injured, By The Heavy Handed Punjab Police. 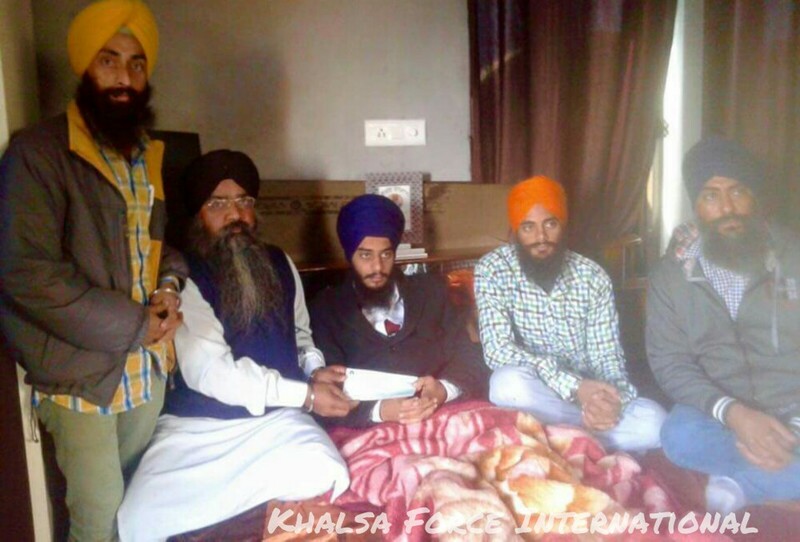 Sikh Relief Helps Rupinder Singh, One Of Many Victims, Assaulted, And Injured, By The Heavy Handed Punjab Police. The Sikh Relief Team in Punjab went out to meet ~Rupinder Singh, one of many victims, assaulted, and injured, by the heavy handed Punjab Police. Readers will recall the deplorable spate of repeated incidents of desecration, in Punjab, involving Saroops of the Guru Granth Sahib, last Autumn. To date those responsible for these acts, remain unaccounted for. Though the incidents of sacrilege have considerably reduced, the complete failure in pursuing the actual offenders, leaves the matter unaddressed and of concern. Yet ironically after Police failed to bring anyone to book, they chose only to punish the innocent protestors, a regular strategy to disseminate a legitimate protest from gathering further momentum. Two brothers Jasvinder Singh, and Rupinder Singh, sons of S. Darshan Singh, Village Bargarhi (Faridkot), were falsely charged and arrested. Both brothers were instrumental in peacefully protesting for the right to have culprits brought to account. On the 14th October, Rupinder Singh became quite seriously injured, as a direct result of police mistreatment, namely lathi-charge action. This assault took place in Kotakpura, where many others were similarly attacked. Viewed and witnessed globally through social media. Rupinder Singh was admitted to the Faridkot Medical College two days later. At the same time, Police beat up, and detained the other brother Jasvinder Singh, father Darshan Singh, and friend Amandeep Singh. All three were held in custody, at Mehna, Moga District. This unjust treatment against the law abiding protestors, invoked further determination in the Sikh Sangat, strengthening the peoples movement, further supported by Panthic Parchariks. Taken aback by the sheer anger and defiance of people, Punjab governing authority receded, and released all unconditionally. Sikh Relief played its role, monitoring those at risk throughout, and visited Bhai Rupinder Singh, Jasvinder Singh at their home in Panjgurai. On behalf of the Charity, representatives, Jasvinder Singh, Anandpur Sahib, and Harminder Singh Ludhiana, attended, further accompanied by UK sevadar, Bhai Karamjit Singh. Fully enquiring and learning of Jasvinder Singh’s health, Sikh Relief in line with its policy, provided financial support. Bhai Jasvinder Singh, of Anandpur stated, that Rupinder Singh’s health, has improved considerably. However he continues to wear a belt to support his lower back. He walks with limitations, and only with the support of a walker. Sikh Relief sends its hearty warm wishes to Rupinder Singh, with an Ardas of robust health allowing him once again to become a fully functioning member of his local community, and family. Equally commending his crucial role, in seeking to protect the honour of Guru Granth Sahib ji.